This past weekend my boyfriend and I headed to Fort Myers to see friends and catch some well deserved R&R. In the process we tried to check out some local restaurants and see what the town has to offer. 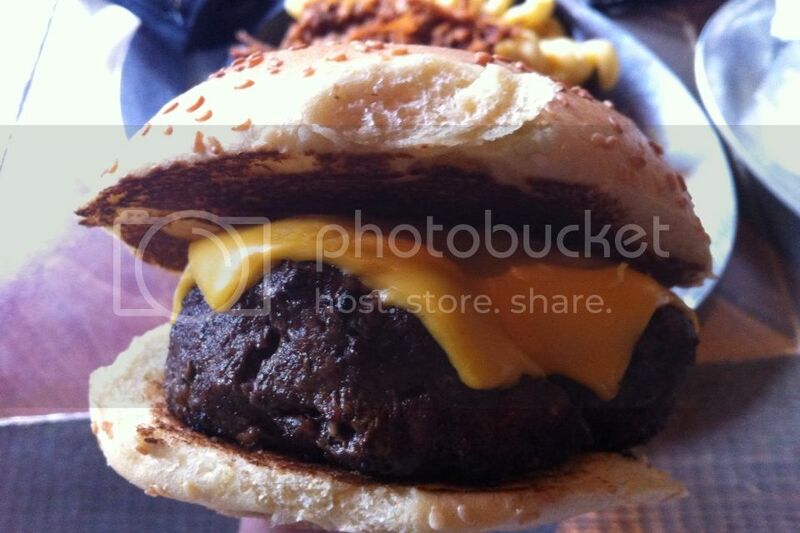 This post will cover three of the locally owned and operated places we hit up. First up is Ford’s Garage, they’re the small town cousin of Miami’s Burger & Beer joint, specializing in burgers and over 200 craft beers. This was our second go-around at Ford's Garage. 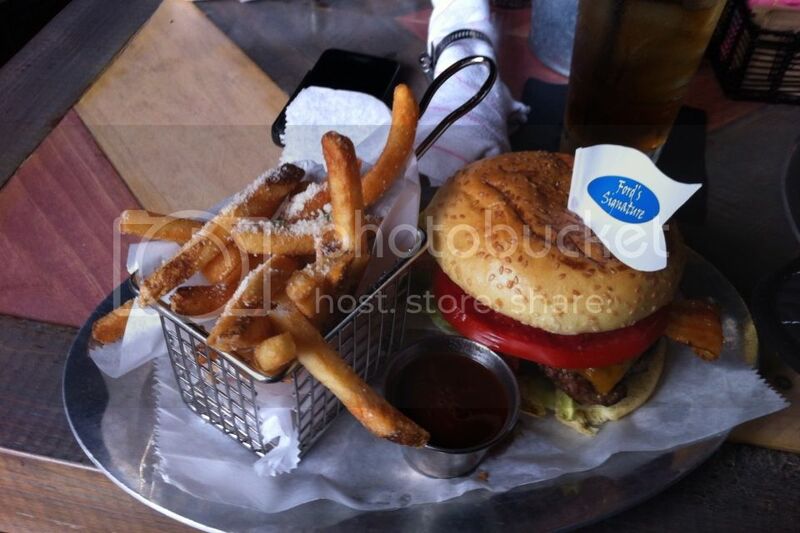 On our first visit I went with truffle fries, pulled short rib mac & cheese and their American standard burger. The American standard comes with a black angus burger topped with American cheese, lettuce, tomato, red onion, pickle on a sesame seed bun. On the first visit I was a little disappointed, my burger looked like a hockey puck was over cooked, the mac and cheese was all mac with no cheese. Seriously, the driest mac and cheese I’d ever had. 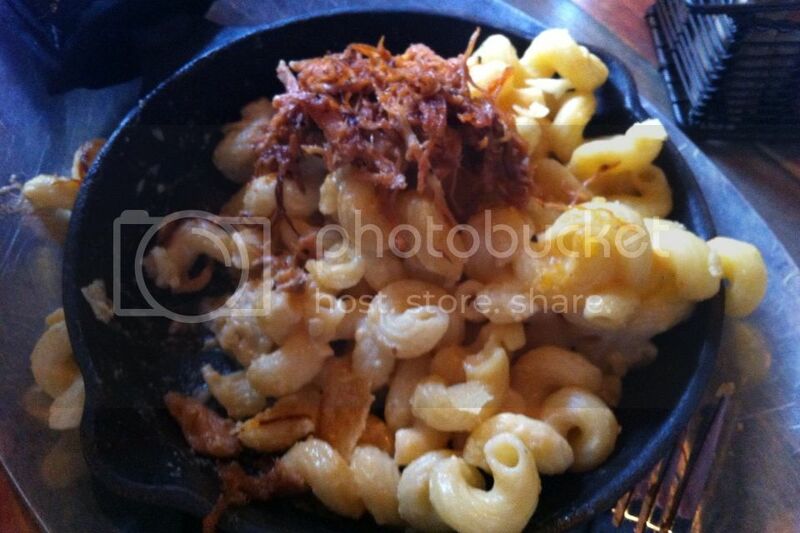 However the pulled short rib over the top of the mac & cheese was delicious. My truffle fries on the other hand were great and were topped with pecorino romano cheese. From what I’ve heard, when this place opened up it was hands down the best burgers around, my boyfriend even felt they were the best he’d had. Over this past weekend, we tried to give them another shot. They were better this time around, but not phenomenal. I got the American standard again to be able to compare and although my patty was cooked to order, it was still missing something. Even our friends that frequent this restaurant have said that there are times when it's great and others when it's not. Overall, this place seems inconsistent when it comes to their food. Their beer on the other hand is on point, a huge selection and a neat decor with a vintage Ford car bar. The place has a great vibe and tons of potential with over 16 burgers to choose from, but it’s been my experience that they’re a hit or miss, but worth giving a try just for the extensive beer selection. Up next we’ve got The Beached Whale, a restaurant right on Fort Myers Beach (think of Miami Beach's Collins Ave.) with a sports bar feel and tons of seafood options. 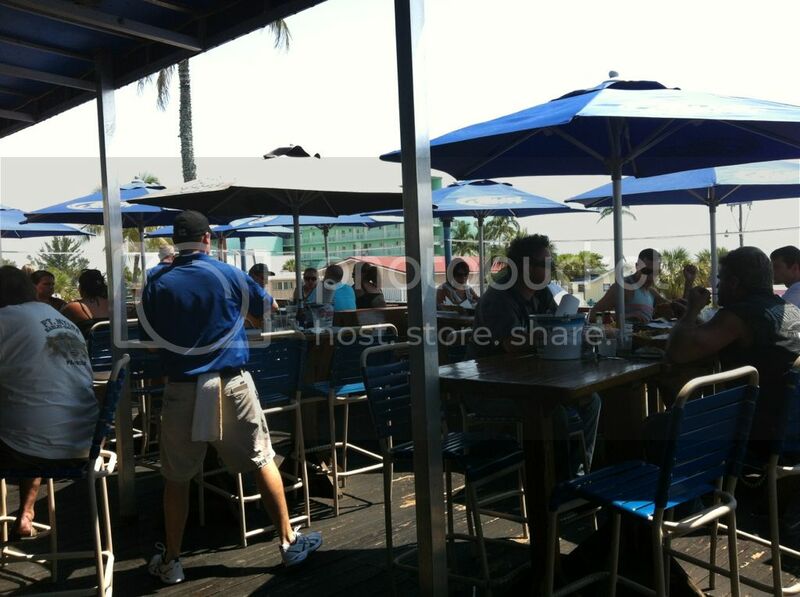 Their top floor is dedicated to a full bar and outdoor seating over looking the beach and people on the street. 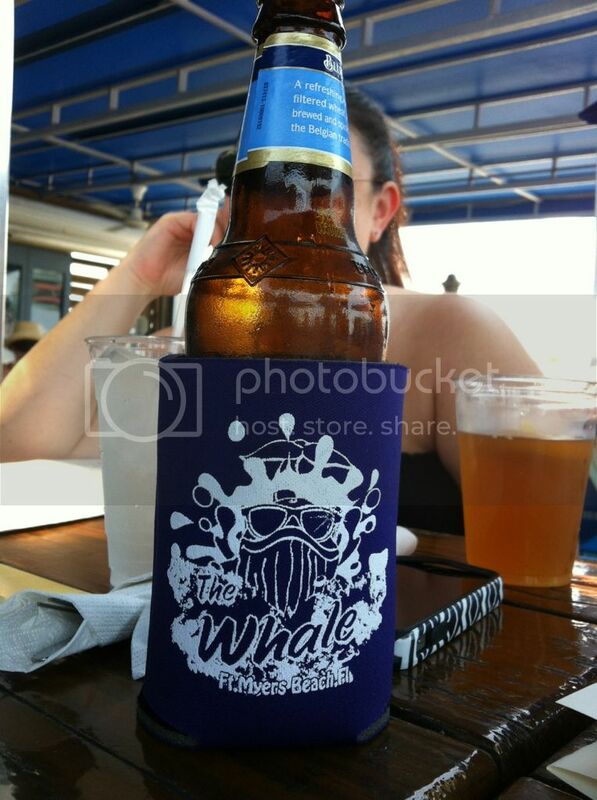 Personally, I loved that all their bottled beers come in a Beached Whale koozie. However, if you have a shell fish allergy, think twice before checking this place out! We got some appetizers including buffalo shrimp, beach bread and mussels. 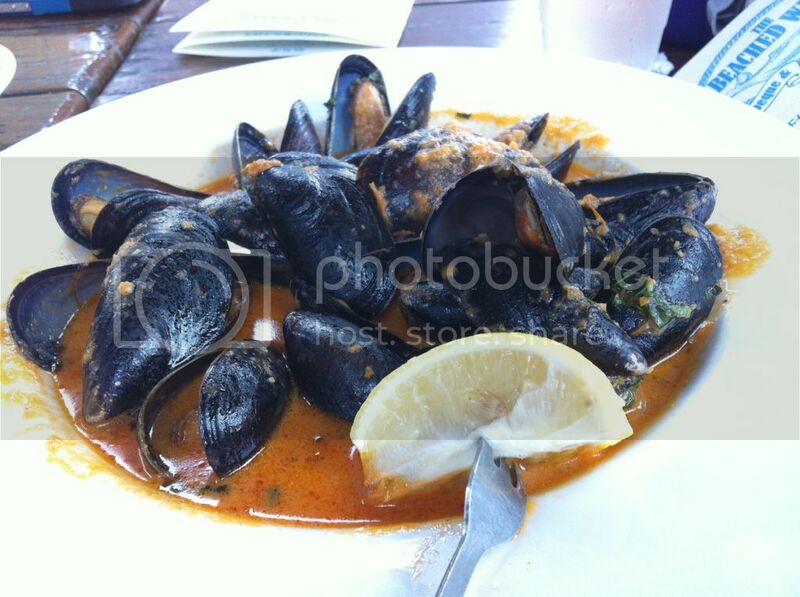 The mussels came in a tomato based/vodka-esque sauce and they must've been great because they were gone in minutes. 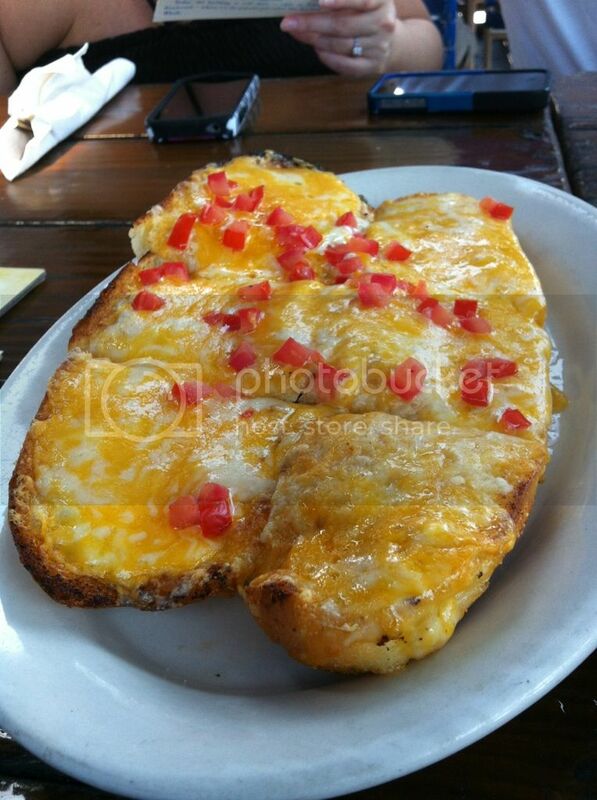 The beach bread is a baguette smothered in garlic and butter then topped with cheese and diced tomatoes. The bread was deliciously fattening and I don’t regret eating half of it at all. 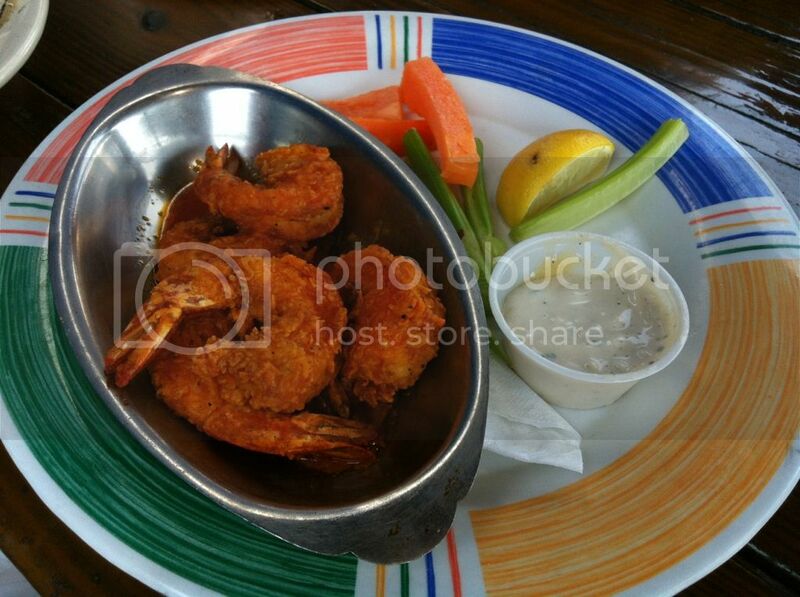 The shrimp looked great, but 5 lonely shrimp for $9 was a bit steep. 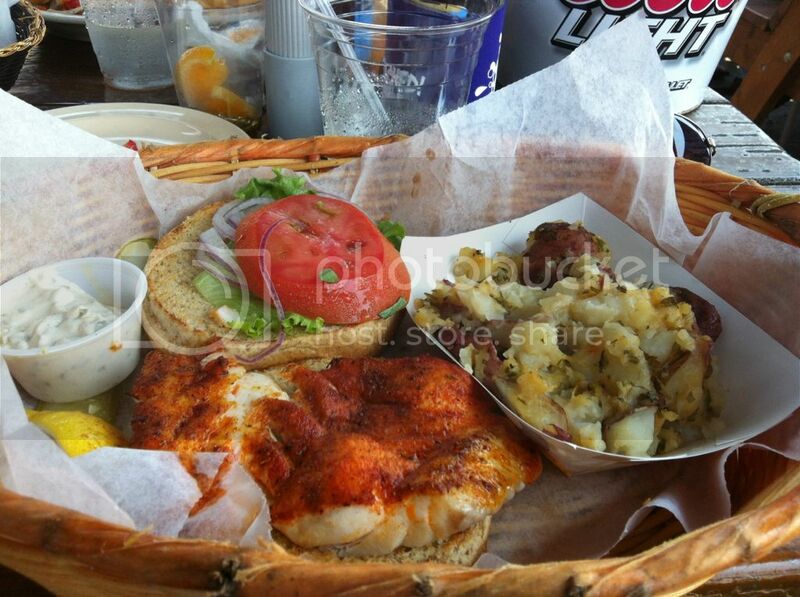 When it came time for our entrees I went with a grouper sandwich; the menu states you can have it blackened, fried, crunchy (covered in corn meal) or broiled, but due to my allergy I can only have the grouper broiled. The fillet was really tender and lightly seasoned, only issue was there was some connective tissue still on the fillet. I got it with buttered, parsley potatoes, they were slightly under-seasoned but still good. 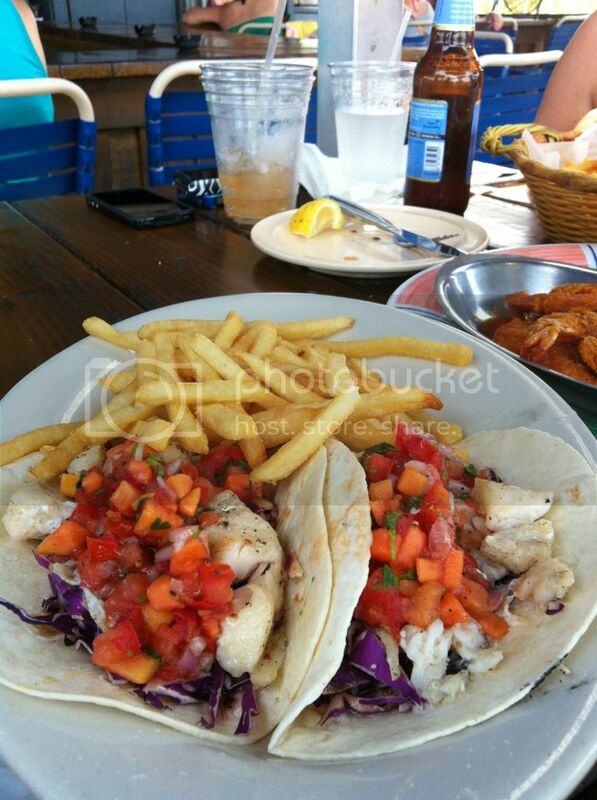 My boyfriend went with their fish tacos which he mentioned tasted great and the fish was fresh, but 2 tacos for nearly $16 he too found a bit steep. I suppose the pricing is due to the proximity to the beach and being mostly a touristy area. 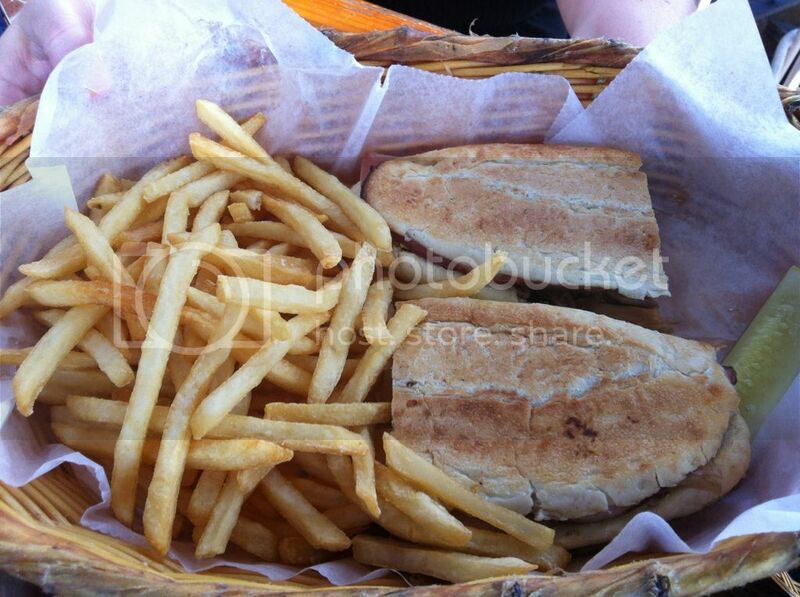 My friend's Cuban sandwich seemed good even though it wasn't on Cuban bread, but I did notice her picking pieces of meat off the sandwich, so I can't vouch for it! Check this place out for their vibe and for great people watching (who knew Fort Myers Beach had so many pata sucias?). Their seafood is fresh, but a bit on the pricey side for what you're getting due to the location. 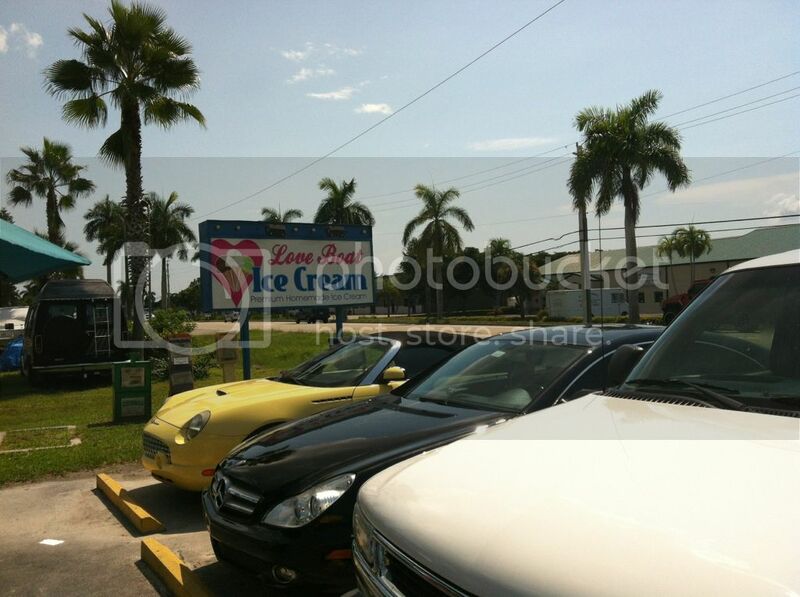 My good friends from Copperpots had suggested Love Boat Ice Cream right before heading to Fort Myers. 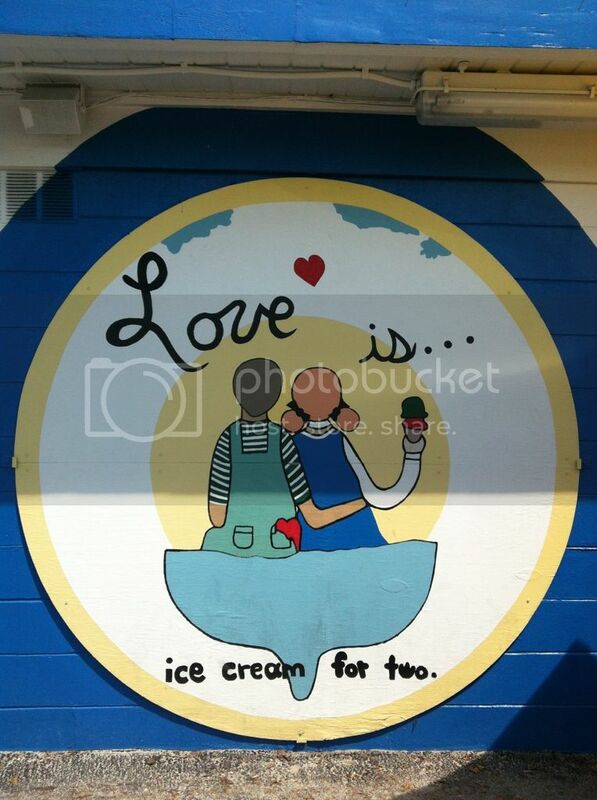 Come to find out our friends that live up there are also big fans of this homemade ice cream shop. Even though we were full from our feast at The Beached Whale, we found some room for ice cream. We made our way in at the perfect moment, because seconds after we walked in a wave of people marched in behind us. The place itself is cute, almost like an old house from the 70's on the side of the highway. 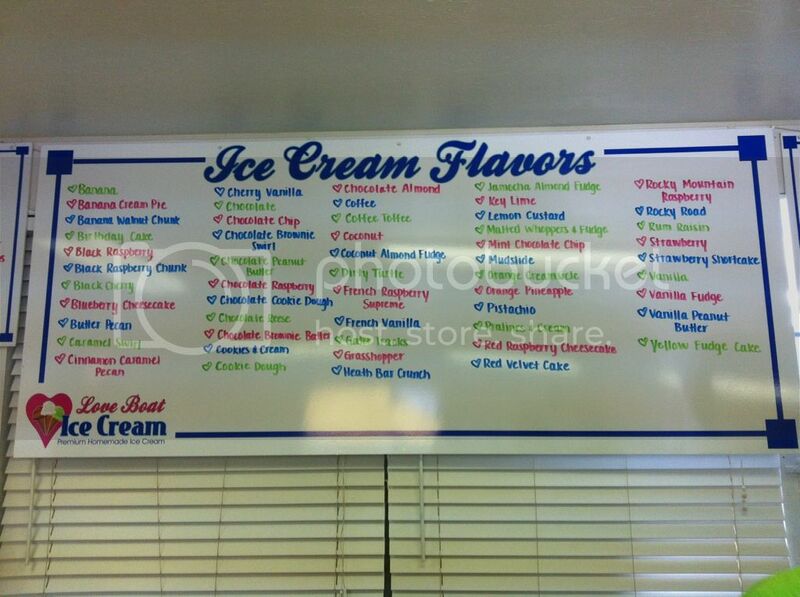 With over 50 homemade ice creams to choose from with flavors like, Blueberry Cheesecake, Rocky Mountain Raspberry and old classics like Cookies N Cream, it was hard to narrow it down. 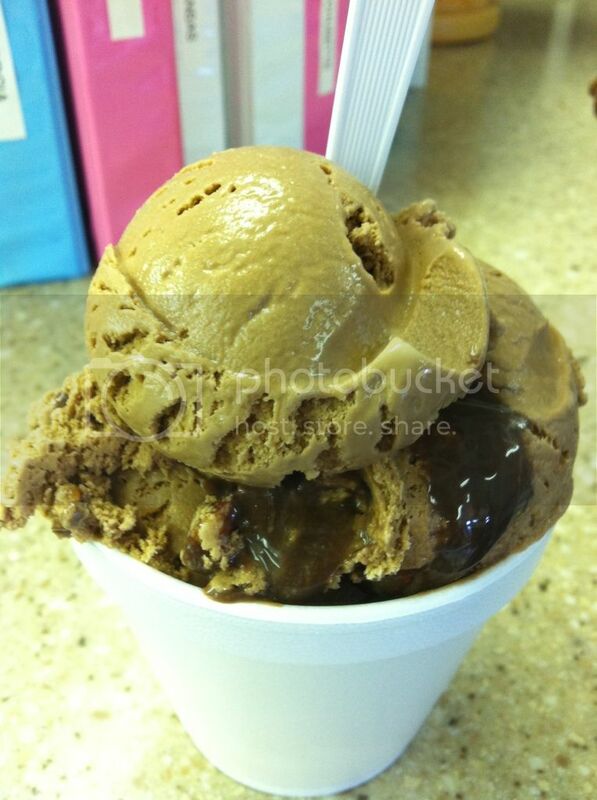 The girls behind the counter humored me and let me try a few before settling on a small cup of Jamocha Almond Fudge. Holy hell, was that delicious and fresh! Every single bite had chunks of almonds, swirls of fudge and the mocha flavored ice cream was great all by itself. Now I know I asked for a small cup, but I don't think these people know what the definition of 'small' is because my cup included 4 generous scoops of ice cream. Now for those of you that know me personally, you may be saying, "Aren't you Lactose Intolerant?" The answer to that is, "Yea, and what?" This tub of ice cream was worth every second of lactose induced agony. 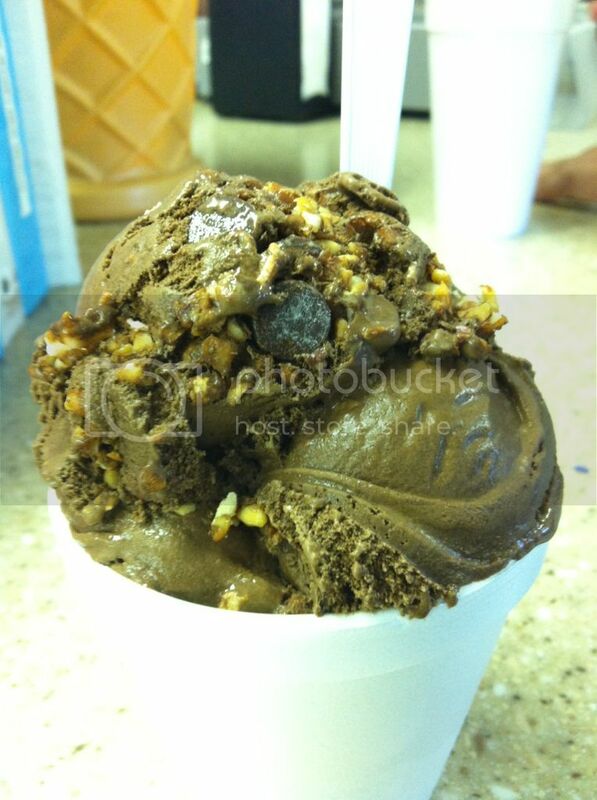 My boyfriend went with their old school favorite, Rocky Road. This one didn't disappoint either, very rich with chucks of marshmallow, almonds and choclatey goodness. Our two friends both went with milkshakes, I got a small sip of their Cookies N Cream shake and my knees damn near buckled, but this may have been from the shooting stomach pains caused by my Lactose intolerance. ﻿﻿﻿﻿﻿﻿﻿Be sure to make this a MUST if you're ever in Fort Myers or driving through. Don't be shy and try the different flavors!